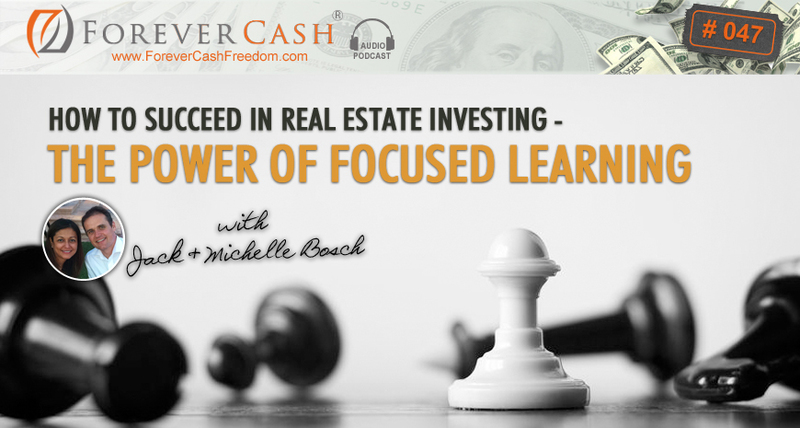 Welcome to the 47th episode in our podcast series that’s about investing in tax-delinquent real estate specifically, but we also cover other REI strategies as well. In our business, we focus on properties where the owners have not paid the property taxes. As a husband and wife investing team, we’ve done nearly 3,800 deals – in land and houses – with little competition and big profits. And we’re letting you in on how to do it all. Class is in session! Yep, I said class, friends. Because in today’s episode I’m schooling you on an amazing book I read: Essentialism by Greg McKeown. It’s an absolute fantastic book and it really reminded me of some important lessons that I want to share with you because it’s very valuable information. So, I’m going to provide you with something like a book report or summary of all the great, actionable stuff in the book. The main message is this: Focus on what matters. Why does the author say that most things in life are not important? Jack: Welcome, this is Jack Bosch and welcome to the Forever Cash Real Estate podcast. In today’s session, we are going to talk about the power of focus, right? I just finished reading a book called Essentialism and by Greg McKeown and it’s an absolute fantastic book so today’s session will be somewhat of a book summary and as a matter of fact I’m not completely done with the book yet but I’ve already taken away so many different things that I just… that I’ve just kind of rattled my boat a little bit and that have reminded me of something that is so, so, so important. Now, the book Essentialism talks about the power of really focus on what matters. In essence that’s the message of the book, now there’s many good things in there you want to read and I’ve touched on a few of them but in essence the summary of the book can be said to be the power of massive focus on what really, really matters in life. Now one of the things that I heard is that the book say or the author say in the book is that almost everything in life is non-essential, almost everything in life is not important but a very few things, there’s a very few pieces of… in life and very few decisions and very few things that you do that can truly make a difference in your life and those are hyper-important yet what we live our life in, is we live our life in this state of non-essentialism where we basically consider everything to be important. So, let’s look at that statement for a little bit. So how can they say that most things in life are not important? Well look at that. Is it really important if somebody cuts you off in the next traffic jam or in the next road you drive and, and sways in front of you and you have to just slam on the brakes! I mean it’s important absolutely that you’re there mentally and alert and you’re not texting and driving and things like that, but is it really important from a point of view if nothing happens from point of view of how the rest of your life is going to go. No, right? You’re probably going to forget about it 20 minutes later and you won’t ever remember it. Unless it happens again but is it really important whether your food is served cold or hot in a restaurant? No, you probably send it back it gets reheated or gets redone and then you eat your food and at the end of the day it’s none of that are of true importance. Yet is the news important? No, the news is not important either. I mean it doesn’t really matter at the end of the day which firefighter got which cat out of what tree and which car accident happened where and which… I don’t know… store had a grand opening and, and all those kind of stuff that the local news reports on all day long. I listen… lately started listening to sports talk radio and in sports talk radio it’s kind of like, man I mean sometimes if there’s a slow day these guys just come up with a most hair splitting little pieces of news that they repeat 18 times just to fill the hour of content. So none of that stuff is really essential; however, there’s a few things in your life, a few decisions that you’ve made that are crucially decisive about your success in life and about where your happiness in life and about your wealth in life and about really literally anything and that is for example, one of them is who you marry, right? Who you marry is crucially important because you’re going to spend the rest of your life ideally with that person or if you don’t spend the rest of your life well then you go through a potentially pretty devastating divorce and the assets gets split and the attorney turning fees and things like that so that’s certainly something really important.. What else is important? Your choice of profession perhaps your choice of your first job or your choice of what business you go in to or what experience, what area you develop an expertise in because if you have that expertise all of a sudden that area of life opens up to you and you start seeing more and more different things that you can focus on and different opportunities in that market. If somebody comes to me today with a rocket science opportunity, I wouldn’t be able to tell it from a bad one from a good one so I’ll stay away from those opportunities, but if somebody comes to me today with a real estate opportunity, I can tell the good ones from the bad ones right away, I have the relationships, I have the expertise built up over 15 years of doing this and that I can act on a opportunity like that very, very quickly. So therefore is it a… Does it honestly… Has it made a difference in my life to have looked into real estate and have made that my area of focus? Absolutely, it has made a huge… huge impact. As a matter of fact it’s the number one decision that I have made that has led to where I’m today financially that is the number one decision that both… Michelle and I have made that has made us financially, brought us financially to the point that we are today. And by the way, Michelle couldn’t make, is not on the call today because I’m actually traveling and it was time for another podcast and we couldn’t do that together so I’m doing the podcast today on my own and Michelle most likely or hopefully will join me next time again. So just this quick side note. Now this can be really brought to the extreme this kind of thinking for example, one of the best examples of somebody you brought it to extreme is Warren Buffett. Warren Buffett, obviously the second wealthiest person in the world, after Bill, his best friend in life Bill Gates literally said though if you analyze it he made 10 decisions in his life that today are responsible for 90% of his net worth. 10 simple investment decisions and as a matter of fact Warren Buffett early on realized that he cannot make a million decisions and be right all the time so instead what he did is he decided to spend his life becoming as good as possible in this… in the financial area and the analysis area and in knowing when to tell a good opportunity from a bad opportunity and only say yes when he is absolutely certain that that opportunity is the right one for him. But when he decides on something he is 90-95-99% sure that it is a winner. That’s how he can be right in so many more time than most people. He is an absolute pure essentialist so therefore 10 of his decisions that he was right on now are responsible for his net worth of over 60 or whatever it is billion dollars of United States dollars. This is absolutely crazy but the same is true for you in the negative and the positive. The same is true for everyone in the negative and the positive. Certain business decisions that somebody made are responsible for them being wealthy today or not. Certain business decisions are responsible for them being in the hole. Kanye West just posted that he’s $58 million in debt. Now how did that happen? It probably didn’t happen by him choosing what to eat for breakfast. It didn’t happen by him choosing to eat for lunch what to put on the lunch table. It didn’t happen by him choosing what clothes to put on or which car to drive or who to meet with in the afternoon or so on. It happened by him making one decision which is to go into the fashion business so he has been pouring millions and millions and millions of dollars into creating his own fashion label. But is he a fashion expert? And the answer is no. He’s not a fashion expert. He is a musician, he calls himself the biggest, the best artist in the world ever and this is up for discussion and whether or not that is true, I certainly not going to comment on it, but the point is he literally, he kind of deviated from his main expertise into something he really doesn’t know at all and he put millions and millions of dollars into it. Now, when you hear this I… I want you to basically look at this and say, “Okay when I do real estate”, which this is the real estate investment podcast, right? ”If I do real estate” what you want to do is you want to educate yourself. You want to look at multiple different ways of doing real estate and there is nothing wrong with a shiny penny theory if it doesn’t bankrupt you, right if it doesn’t bankrupt you but what you should do is you should evaluate as many real estate techniques as possible. But what you should not do potentially is decide on real estate stock market investing, internet marketing and a bunch of other things at the same time. You know. Here’s why the essentialists would say, let’s look at real estate investing, let’s look at stock marketing investing, let’s look at Internet marketing and identify of the three, the one I like most, the one that plays to my strength the most, the one that has the most potential of making me money and the one I fall in love with most. Once you have picked one of those, for example you pick real estate because of its potential to make you 10,000 dollars checks or higher than that of its potential to be able to do this wherever you live, wherever there’s real estate there’s deals that you can make, of its potential of providing cash flow and providing well passive income for the rest of your life and of its potential to do this with very little financial investment yourself, yes, zero money deals, no money deals are possible if you structure the deal right or with our land technique you can buy land deals for $100 bucks. So now that you have identified, let’s say you have identified real estate as being the technique you want to do now what you want to do is you want to go focus on the next part and the next part is within real estate investing you now want to go and identify and learn as much as possible about real estate investing, about any kind of real estate investing, about seller financing, about creative financing, about land, about houses, about commercial property and so on and so forth ideally in the easiest way and in the least expensive way that you can possibly learn about that and by perhaps buying a course for a few hundred dollars or thousand dollars and so on. And once you identify with the purpose though of identifying within all those niches, the niche then again speaks to you most that you fall in love with most, that works best with your strengths and that has the potential of making you a lot of money right out of the gate. Because you don’t want to do this necessarily as a beginning something that’s going to cost you a ton of money and like you don’t want to as a beginning investor go, develop an entire subdivision of houses for example where you have like where you have to buy million dollar pieces of land, then develop them and plan out them and then put in roads and literally go out there and it costs you millions of dollars before you see the first dollar coming in and its going years out and you don’t know how the economy going to be and so on and so forth. Instead you might want to start flipping a piece of land or flipping a house or so where you just wholesale it, put it under contract, sell it to somebody else with no money out of your pocket. That’s the kind of stuff you want to start with as a beginner and now that you start this if that’s the case then the next step afterwards is you want to take that program from the person that you like most and then go do a deep dive into it and just stick to it and make it happen. So the essentialist says that you don’t or staying focused doesn’t mean that you can’t learn about multiple things, as a matter of fact learning about multiple things is a prerequisite to being able to choose the right thing. Really, that’s a little different way of looking it so if you have been bouncing from one way to the other but you have stayed within real estate, not all is lost as a matter of fact you might have just gone do the necessary steps within an essentialist path to figure out what is the exact technique that you love and once you found that technique now it’s time to put on the blinders, now it is time to literally just focus on that, put on the blinders do nothing else and just make it work. Every kind of real estate investing I’ve ever seen works. Every kind of stock market investing that I’ve ever seen works. Every kind of Internet marketing method I’ve ever seen works. What doesn’t work is jumping from one over to the next again and again and again. And never identifying what you really, really love and then sticking to it. So I have a saying that is get in line and stay in line which I got from one of my mentors, Keith Cunningham and I like it so much that I even went and called one of my LLCs to get in line, stay in line LLCs. Jo’s intellectual property to all my courses on my things and that LLC and I named it that because it stands for this method. When I started real estate I did the same thing, I didn’t know about essentialism, I just looked at house flipping, at wholesaling, at rehabbing and apartments and all those kind of stuff and then I found land and I knew this was my ticket, I knew this is the simplification of real estate. I knew this is the way that I can get the same with much, much easier steps and then I put the blinders on and for the next five to six years I did nothing else but that. Because think about it, when you start ten races and you go ten feet in each hundred, hundred yard or hundred meter race, if you go ten meters in each of the hundred meter races you haven’t completed a single race. What you want to do is if you want to check out the different races and then pick one and make sure you win it. And by the way you win it doesn’t mean you have to be the first one in there. There’s a beautiful song in Spanish called “El Rej” which means “The King” and some of the lyrics in that song says it doesn’t matter if you get there first what matters is that you arrive. You know? That’s really truly something that is hit home with me and I hope it hits home with you too. It doesn’t matter; you don’t have to be the first one to arrive. What matters is that you freaking arrive because when you arrive that’s where the money is, that’s where the prices and every single person that arrives receives the prize. But jumping from race to race won’t ever get you to arrive. It has its place at the beginning of the journey. But once you have identified what you fell in love with, what is really the thing just don’t ever let go. Figure it out, it might take you two weeks, it might take you two months, it might take you two years to figure it out but once you figure it out you are a winner. You take the prize home. This truly is a race where everyone that hits the finish line is a winner. It doesn’t matter if you’re the first one or not. Everyone gets the winning prize and that is because there is an abundant of deals out there and there’s an abundance of freedom that can accomplished with that, right? So, that’s my podcast today. So, by the way if you are looking for a place where you can find out about multiple techniques and figure all these different ways out, we coming from that point of essentialism and from a point of providing this possibility of you learning about multiple techniques without going broke we set up the program called MyOpenPath.com where for just 67 dollars a month you can become a member, a monthly member and you have access to over thousand different courses and check it out there. Now there’s also a free demo membership but when you get that free demo membership, you…. no credit card is necessary so it’s totally free. You get four courses already, you can test drive all the other courses. So when you go to MyOpenPath.com on the top right you see the ability to start for free, you get the ability to start as a paid member, check it out, check it out… Subscribe as one or the other and then go explore it and there is multiple courses on multiple different ways of doing real estate. There’s house flipping courses, land flipping courses, tax delinquent courses, there’s wholesaling courses, there’s coming up special tax lien courses, there is courses on again tax deed, on all the tax delinquent real estate investment methods but also coming up on or already out there on multifamily investing, on probate investing, on you name it all the different ways of real estate investing. If they are not in there yet they are being added on a weekly basis to the program right now. And it’s not thousands of dollars, it’s basically you can sign up for free demo account or if you want to be a member it’s just a few bucks a month and for a few bucks a month you can do that. So again, this is my blatant pitch here is actually not a pitch as I said there’s also a free membership site, but the key is whether or not become member here or somewhere else make sure that you identify which phase you are in. If you’re in the phase of educating yourself about what is the exact technique that you want to get into then great then it’s completely fine to jump from one method to the other. If you’re in the phase of wanting to make this work and you already have got a bunch of education it’s time to pick one and do a deep dive on it, right? So with that again, as I always say we have podcast notes that you can, you can listen up, basically summary of the podcast on the www.ForeverCash.com/Podcast also again MyOpenPath is the website where you can go and get the free demo account, get four courses on a passive income, one on tax liens, one on deals without any tenets or toilets and multiple courses are in there. zAnd plus there’s an additional whole bunch of stuff in that you can test drive and check out and so on. So, also I would love if you want to give us feedback as always go to iTunes, leave us written feedback, love a five star rating, I would love that. And also go in the podcast notes on the ForeverCash.com/Podcast and leave your feedback there. You can download the audio there, you can do the transcriptions, you can have tweetables all kind of stuff there, right? So with that I say thank you very much, have a wonderful rest of the day and bye, bye.